Today: Partly sunny with the temperature heading up then down from its morning low to about 50 by 5pm as the cold front hits with a N-NW wind around 15 mph and gusting to about 25. 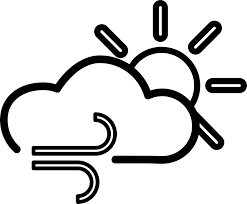 Rest of the week: The Saturday forecast is for clouds during the day and a high about 42°, then overnight it will be down to the upper 30s, but there is a 50% chance of overnight rain. Sunday will get a little warmer, up to 55° or so, but it will probably rain. The daytime chance is 60%, overnight it’s 70%. Next week: Monday’s rain chance is down to 40%, with a high near 67° and south winds. The rain chances gradually go away by Tuesday afternoon and we look for 60° highs to mid week.